Students who are starting their general education at American River College this semester will see changes to their English and math level placement with the implementation of Assembly Bill 705, which has reduced the number of available lower level classes as well as eliminated the placement test. Signed by Governor Jerry Brown in October 2017 and put into effect Jan. 1, 2018, AB 705 is an amendment to Section 78213 of the Education Code, relating to community colleges. It is intended to increase the likelihood of community college students completing their transfer-level math and English requirements within one year, according to the AB 705 page of the California Community Colleges website. 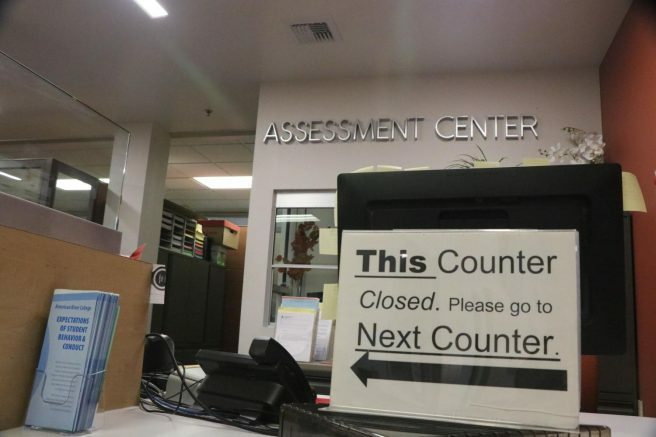 As of Feb. 1, the ARC Assessment Center is no longer administering standardized placement tests and students will no longer be required to take a test to determine their placement in English and math classes. 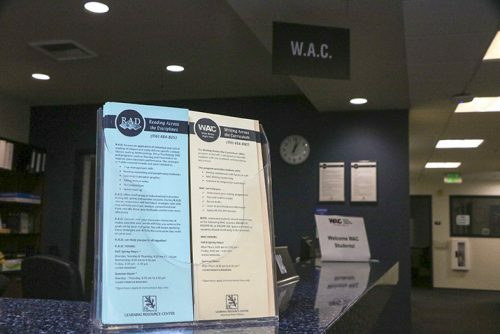 Community colleges, including ARC, will use “high school coursework, high school grades, and high school grade point average(s)” to place students, according to the CCC. The bill also “authorizes the Board of Governors to establish regulations governing the use of measures, instruments and placement models” to ensure colleges are maximizing the likelihood of students placing into transfer-level math and English classes and completing them within 12 months. As of the start of the spring semester, these changes have been fully implemented in the English department. ARC is no longer offering English classes that are lower than transfer-level and students are now placed into one of two transfer-level English writing classes, based partially on their high school GPA, according to ARC’s Dean of English Doug Herndon. According to both English Reading department chair Cynthia Youngs and English Writing department chair Kathy Rodgers, who spoke with the Current last semester, the English Reading department is combining with the entire English Area. “This legislation … has the effective merging of the reading department with the English department and the idea is that it streamlines the path through the English composition sequence for students,” Rodgers said. ARC has gradually removed lower level classes over the past year, including English Writing 50 and 101, according to Rodgers. The English Department will offer many more transfer-level English classes and higher-level writing and literature courses taught by professors previously in the reading department, Rodgers said. The new classes will also relieve crowded classes. The Mathematics Department has also made changes in accordance with AB 705, according to mathematics professor Cindy Bredek. Math placement is now similar to English, where students will be placed into a transfer-level math class, either with or without support based on high school GPA and the last math class a student has taken. Unlike the English Area though, there are still lower level math classes available through the Math Media Learning Center (MMLC), for students who feel they need the extra support. The only students who will be placed into lower level math classes are those majoring in the Business, Science, Technology, Engineering and Mathematics and have not taken Algebra 2 (Math 120). The direct placement of students into transfer-level classes is intended to shorten the student journey through their English and math general education, something that many professors believed was drawn out by the placement test. Rodgers says she believes that the new placement method will provide a more accurate picture of where students should start their English general education. According to AB 705, “[a]ll community colleges are required to be in compliance with AB 705 no later than fall of 2019.” While ARC only recently implemented these changes, other California community colleges have already seen the benefits of changing the placement process. Research by the Public Policy Institute of California found that colleges that implemented a high school GPA-based placement process saw increased rates of students placed directly into transfer-level classes, as high as 77 percent for English and 67 percent for math. According to Herndon, students who feel they have been placed incorrectly have the option to petition their placement with a Petition to Re-Evaluate your Placement (PREP) form. Herndon encourages students who may feel confused or intimidated by the new English placement process to meet with their counselor. In the meantime, Herndon says the English Department staff recognize that students may face unexpected challenges and it intends to watch for kinks in the process. 1 Comment on "Assembly bill eliminates standardized English and math placement tests at ARC"